Here are some of the most common myths surrounding acne you will hear. These arguments are simply a product of misunderstanding or ignorance surrounding how the human body works. Yes, this is what they want you to believe so you can buy more washes, ointments, creams, soaps, scrubs, pills, quick-fixes, etc. that do nothing to heal your condition. If you believe your beautiful, perfectly designed body is the problem and you need some commercialized chemical wash to fix it, then you need to seriously unbrainwash. Your body is an extraordinarily powerful machine capable of healing itself of anything. You just need to understand it then give it what it needs then sit back and watch it do truly amazing things. While it’s true you can inherit some genetic weaknesses, it’s complete and utter nonsense to say acne is genetic and you’re stuck with it. If you’re genetically weak and you’ve made it worse by continuing your parent’s legacy of a poor diet – then there is every chance in the world you can undo all of this by detoxing. Don’t believe for a second you’re stuck with it, otherwise you’re just a helpless victim. No it is not. There’s only cause and effect remember. What’s bad luck is being conditioned from a young age to believe stuff that directly contributes to your problem then being shot down for daring to question it later. Refuse this nonsense altogether. It only disempowers you and enables those wanting to take advantage of your fears. And water has absolutely nothing to do with things getting wet. Seriously guys, we’re living at a time where the level of awareness is non existent. Let’s take a step back and think for a second. Everything in this universe is cause and effect. Everything. Getting angry is an effect. The cause could be your partner cheated on you. Sneezing is an effect. The cause is likely some type of irritant. Now imagine “treating” these things the same way you’ve been treating your acne up until now. Taking chemicals and drugs to suppress your body’s natural response doesn’t fix anything, it just makes you dependent on them. As long as you don’t get to the root of the problem, it will always be there. Acne is the exact same way. It can “kinda” go away as long as you push the problem deeper into your body with medications. That’s like refusing to clean out a trash can as it overflows and you jump on top of it instead to make it fit. When someone says food has nothing to do with it, they are living in a magical fairyland playing with the bunny rabbits and unicorns. Essentially what they are saying is to ignore the laws of physics and chemistry. The chemistry you put in your body is the chemistry you get out. Eat and drink acids, acids will burn and inflame you. That’s the redness, swelling and hotness you feel sometimes around your acne. Sure, there are other factors when it comes down to your overall health but all else being equal, two people will have vastly different health and it comes down to what they put into their bodies. If that was truly the case, then no adults should have acne. Fact is, millions upon millions of them do so this argument is bogus. What’s interesting is if you examine the diets of those adults, what will you find them eating a lot of? Fruits? Vegetables? Lentils? Rice? Hardly. The Standard American Diet (SAD) loaded with processed foods and animal products for breakfast, lunch and dinner. Snacks too. No single food causes it unless that’s all you eat every day of your life and it falls under the list of horrible foods to eat. So while most chocolate for example is loaded with milk, processed sugars and other ingredients that are bad for the body, it’s a culmination of what you’ve been putting into your body over the past number of years that determines your skin’s current health. 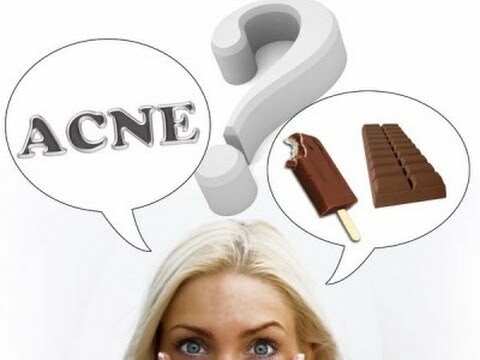 If you’ve taken care of yourself well, cleaned out your systems and eaten an alkaline, acne-fighting diet (which also happens to be a disease fighting diet) and you have some chocolate every now and then, you’re not going to get acne. If however you gorge on junk day in, day out, then your lifestyle is responsible for your acne and not because you took a bite out of a Kit Kat. As for the sun, this is our nucleus of life. It’s a life force for all living things especially humans. 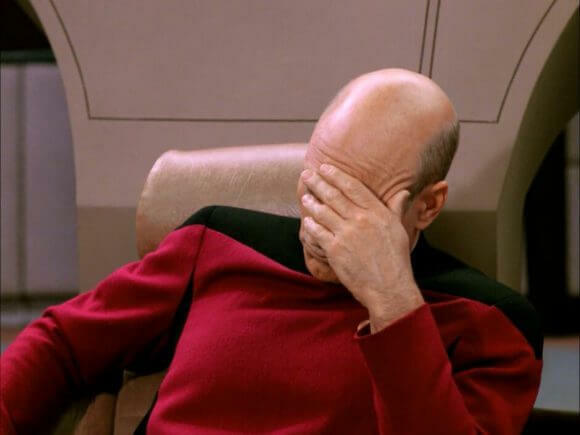 If the sun caused acne, you would see bears, lions, zebras and elephants with acne all over them, lol. The sun is vital for your skin as it’s a source of Vitamin D and thousands of other benefits we are only now discovering. This is an interesting article and I enjoyed the read. There is no such thing as bad luck and I truly believe that diet plays an important role in our overall well being, acne outburst is definitely included. Myth #6 – Chocolate cause acne. Well, shamefully I believe it at some point in time when I was younger. Perhaps, my mother used this reason in trying to stop me from eating too much chocolate. Diet is the number 1 factor yes and the sooner folks out there realize, that the less acne and general less health complications they will have. this article is on point! For years I was in denial, saying that my acne had nothing to do with what I eat. I was “trying” to eat balanced meals, but not drinking enough water and binging on chocolate. Now I avoid them like kryptonite. You’re right on their milk and sugar content: when I, rarely, eat dark chocolate, nothing happens. Now I’m drinking a lot of water, staying away from sweet and processed food and I can tell you, things are going for the better. As far as the sun, I read an article about it. The negative effects of the sun on our skin would be closely related to the american, fatty and greasy diet. If we adopted a Mediterranean diet, full of healthy omegas, we would not have those negative effects so much (dark patches, skin cancer high rates etc). All that goes to say that yes, we are what we eat…and it can show up on our faces too. I learned it the hard way….but now I know. Very well said Didi! As you can see for yourself, what we eat manifests itself throughout the body and one of the first places the body shows us if there is a problem internally is the skin. Keep up the great lifestyle! I travel with my job, and as such, there is quite a bit of eating out. So I can definitely agree that there is a correlation between our diets and acne. I always see mild acne flair ups when I eat greasier foods. Granted, I could probably find better things to eat at restaurants, but, oh well. I have the same issue chocolate, which is why I try to avoid it as best I can. Hi Sammer, Myth #4 got me laughing..this is exactly what my friend tried to believed in when she was living on sweets and coffee. I have to admit I partly believed it’s genetic and a teenage phase. I never used make-up or other chemicals to cover / suppress acne..They come and go, I tried to eat as healthy as I can and use Coconut oil instead of cream. Do you think this is ok or you have any recommendation to change it?